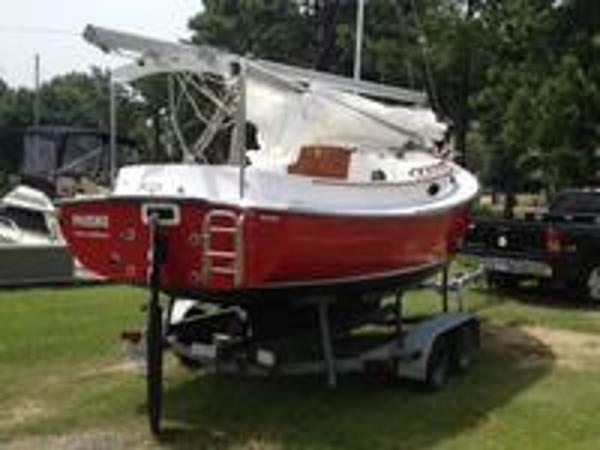 2005 Phoenix Horizon Total renovation 2015 including deck and bottom paint.NEW: sail/sail cover/wheel cover/halyards & hatch cover.Marine toilet/ AM/FM/CD with marine speakers &GPS.Cockpit cushions/ 9 hp yanmar diesel - low hours. Factory red hull paint. factory tandem axle trailer.PRICED FOR QUICK SALE!